We suspected as much when Google dropped mandatory Google Plus registration when signing up for new Google services. When Google Plus ‘godfather’ Vic Gundotra left the company last year and most of the Google Plus team moved to Android , the writing was on the wall. Cue punchline that the writing wasn’t on Google Plus. It seemed nobody told the advertising department, as mid-last year, +Post ads were made available to all advertisers, although how Google expects to continue using Google Plus for advertising only without a social network to deliver it seems crazy. 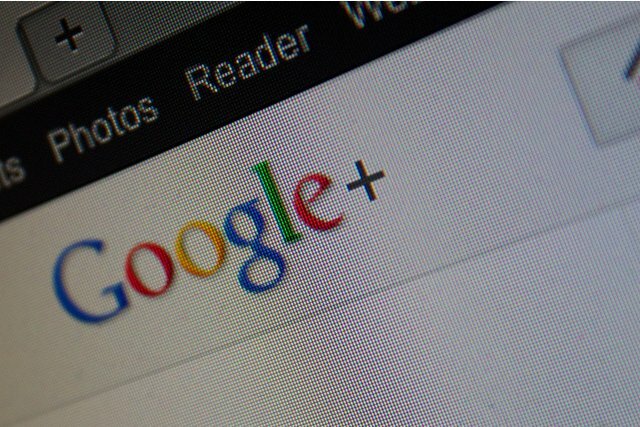 Although you could say that Google Plus was a social network with little social and hardly any network, so lacked the audience to make it worth businesses to advertise. Lest we forget, the Google business model is advertising platform first, search engine second, everything else third. Despite the fact it was (irritatingly) embedded in every other Google product – Search, Youtube, Gmail – Google Plus never got the social engagement and activity it needed to park on Facebook’s front lawn. Plus couldn’t keep up as Social (capital ‘s’) shifted to mobile, and largely in two camps: messaging and photos. Alongside Facebook and Twitter, there’s also Instagram (photos), WhatsApp (messaging), Facebook Messenger (messaging), Tumblr (mostly photos), YikYak (messaging), Snapchat (photos) and still they come. Unfortunately, the geeky science-kid Google Plus was never mainstream enough for the parents and grandparents and no way cool enough to be one of the cool kids. So if Photos and Streams are distinct products and Hangouts a standalone app since the Autumn, what is there left of Google Plus? The company tried so hard to position it as Not-Facebook, but in the end, Google No-Plus simply non-plussed all of us who tried to work out what it was. The love-hate relationship with Facebook, the de-facto standard thanks to it’s ubiquity, is one that many of us would like to give up. Having reached a critical mass as a single hub, however, Plus was never able to compete, as a seemingly tacked-on afterthought lacking any coherent identity or personality. Google has form when it comes to killing unsuccessful (as in, no-revenue) products: Aardvark, Buzz, Labs, Answers to name a few. You can always say of Google, it tried, it took risks, it admits to the failures, kills them and moves on.